If you have to spray your yard with pesticides or weed deterrents, allow the pesticides to completely dry before letting your pet back into the treated area. 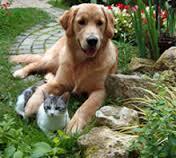 If possible, keep your fertilizer use to a minimum, and veri fy that your preferred type won’t harm your pet. Whenever possible, use organic yard treatments. For example, an all-natural mixture of water and cayenne pepper sprayed on vegetables in a garden can keep pests away and are not harmful for your pets. 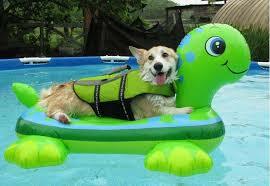 It is very important for pool owners to have safety in mind not only for humans but also for their pets. If your pet is not accustomed to swimming, use physical barriers to block access to your p ool area. Since pools can be attractive to animals who want to take a dip because of the heat, consider taking some time to teach your pet how to swim. Verify that your pet is a breed that can swim with little problem, and take special precautions if your pet is elderly. 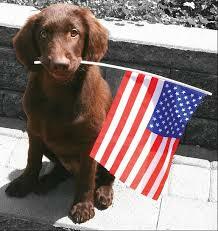 Pets go missing on July 4th more than any other day of the year. Resist the urge to bring your pets to firework displays as the loud fireworks can spook them into taking off. If your home and your dog is afraid of loud fireworks, leave gentle music playing to drown out the noise of the fireworks. It’s important to remember that pets are especially vulnerable to heat-related issues during the early spring and summer, as they haven’t fully grown accustomed to the change of seasons. 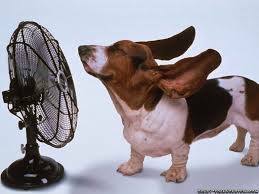 To prevent exercise-induced heat stroke owners should introduce their pets to warm weather exercise slowly. Also, owners should try to exercise their pets in the early morning or late evening when temperatures are lower and the sun is not as strong. Lastly, never ever EVER le ave a pet in the car on warm, sunny days. Even with the windows open, temperatures in a car can rise to deadly levels within minutes.